Whenever I fly, I always end up dialling the brightness down on my laptop to its lowest possible setting. In some cases, I'm straining my eyes to be able to see what's on the screen, but it's worth it for the precious few extra minutes of battery life I might get while I'm in the air and away from power. 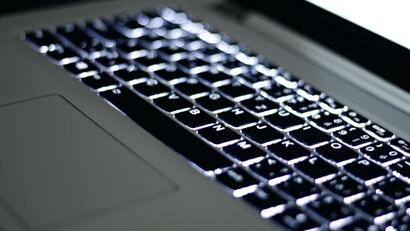 This week CNET made another battery-saving suggestion that's worth a try: powering off the keyboard's backlight. The idea here is to set your keyboard's backlight so that it powers off after a period of inactivity, not so it's off all the time (I know I definitely need it, especially in those dimly-lit situations). It's the same concept as the Energy Saver feature you might use to turn off the display when you've walked away, but keyboard specific and the feature is located in a different menu. To get to it, go to System Preferences on your Mac and then Keyboard. 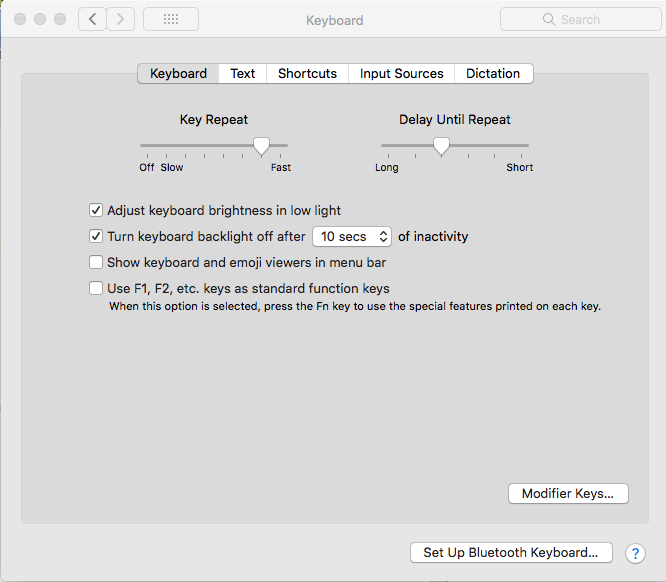 From there check the box labelled "Turn keyboard backlight off after __ of inactivity" and then choose how long you'd like it to wait. You can pick anything from 5 seconds to 5 minutes here. CNET recommends going with 30 seconds. That's not a bad idea, but I can see some benefits in going shorter as well. 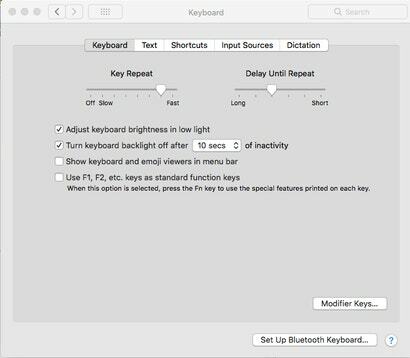 You don't want to do 5 seconds and turn your keyboard into a strobe of stopping and starting lights, but 10 seconds is a decent option, depending on how you typically use your computer. You're not going to save a tremendous amount of battery power with this, but when you're away from an outlet, every second counts.